Unbelievably accurate craftsmanship. 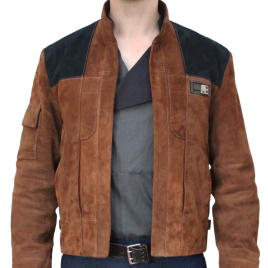 The jacket fits so perfectly provided you give accurate measurements and really looks like it was straight out of the movie. It's ridiculously comfortable, has a great amount of pockets (Which is an upside to anyone wanting to hold onto a legion challenge coin in costume, just in case ;) ). I could go on and on really, but I shouldn't. This was my first purchase of Magnoli products and it definitely won't be my last. I can't recommend Magnoli enough to anyone thinking of doing any form of Star Wars costume. Unreal work.